Jas. Cunningham, Son & Co.
James Cunningham, the founder of the well-known Rochester, New York house, was born in December 1815, in County Down, Ireland, to Arthur and Ann (Austin) Cunningham. In 1820, his Scottish father Arthur passed away leaving his mother Ann, and 6 brothers and sisters to fend for themselves. In 1824 his eldest brother’s family took part in a British-backed immigration scheme named after a York (now Toronto) politician named Peter Robinson. Between 1823 and 1825 several thousand poor Irish emigrated to Peterborough, Newcastle (now south central Ontario), Canada where they were given a new start in life. The so-called “Robinson Emigration” was prompted by increasingly poor economic conditions in Ireland and the need for a part-time militia to help defend the border with the United States, who was still considered an enemy. Prospective settlers had to procure letters of recommendation, and once selected were given certificates of embarkation which allowed them to board a Canadian bound ship at the Irish port city of Cork. From there they sailed to New Brunswick, then to Quebec where they boarded steamships headed down the St Lawrence River and Lake Ontario to the port of Cobourg. From Cobourg, they traveled overland to Rice Lake, where they were loaded onto barges, which proceeded north to Peterborough by way of the Otonabee River. Once in Peterborough they were issued free provisions, tools, livestock and 100 acres of farmland per family. Immigration records indicate the Cunningham homestead was located in Emily Township, which was located 5 miles northwest of Peterborough. The 1826 census/assessment lists a 100 acre homestead owned by a James Cunningham who emigrated there in 1825 under the Robinson Emigration program. The assessment states that 4 acres were being used for farmland, and that the Cunningham household was made up of 2 males, 2 females & 2 children. Within 4 years the elder Cunningham had saved enough money to bring over the rest of his family and in 1831 James, his mother, 4 brothers and 1 sister traveled by ship to Ontario, where they joined his elder brother in just outside of the village of Lindsay in Emily Township. Located just outside of present-day Kiwartha Lakes district of Victoria County, Ontario, their homestead became known as Cunningham’s Corners. Thomas Cunningham, one of his older brothers, remained in the port city of Cobourg, and James moved in with him in order to pursue the woodworking trade as an apprentice to a local carpenter. In 1833 James Cunningham embarked upon an ambitious journey to visit his uncle who was working as an architect* in New York City. While there he hoped to gain employment with one of the city’s numerous carriage builders. *Once source states that the unnamed uncle was likely Merwin Austin, an architect who was active in Rochester and occasionally New York City between 1840 and 1880. However that’s very doubtful as Merwin Austin was born in August of 1814, and would have been only a few months older than James Cunningham. From Cobourg, Cunningham boarded a packet steamer bound for Rochester, New York, where he boarded a stagecoach headed for New York City. Six weeks after his arrival he determined that there were no jobs available for someone with his basic set of skills, so he returned to Rochester were prospects were much improved. He was offered an apprenticeship in the carriage shop of Norman Jewell, a manufacturer of packet coaches. The term packet refers to a bundle of letters. Packet coaches transported mail to and from the packet boats that traveled along the Erie Canal between Rochester and New York City. Cunningham made a short trip to Cobourg and after his return to Rochester he worked at a number of odd jobs until he had earned enough money to purchase a round-trip ticket to from Rochester to Cobourg. After completing his final journey back to the family’s Canadian farmstead he returned to Rochester in early 1834 and was hired as an apprentice by Hanford & Whitbeck at the going rate of $1 a week, board inclusive. Located at 71 State St. opposite Mumford St., Hanford & Whitbeck was a manufacturer of carriages, coaches, and interurban rail cars and was founded by George Hanford & J.H. Whitbeck in the late1820s. 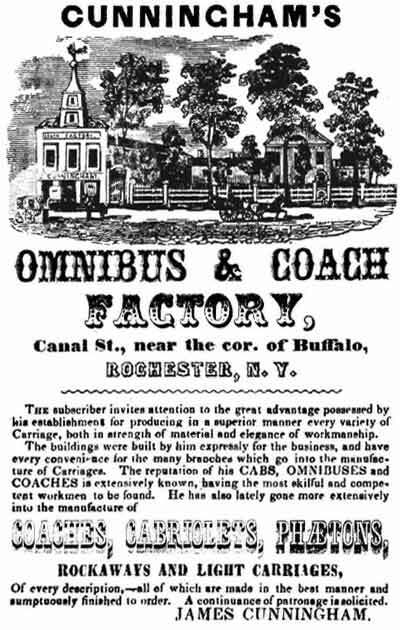 In 1832 the firm constructed a series of rail cars for the Rochester Canal & Railroad Co., the operator of a 3-mile interurban horse-drawn railroad that bypassed the falls of the Genesee River, allowing easy passage from the Erie Canal to Lake Ontario. For the next four years Cunningham worked for Hanford and Whitbeck as an apprentice and finally as a journeyman. In 1838 he formed a partnership with two other Hanford & Whitbeck employees, James W. Kerr and Blanchard Dean, and together they bought out their employer. As Kerr, Cunningham & Co., the trio conducted business at 71 State St. overseeing a handful of former Hanford & Whitbeck craftsmen. James Cunningham took charge of the wood‑work; Blanchard Dean, the blacksmith works; and James W. Kerr, the trimming and painting department. Cunningham married Bridget Jennings in 1838 and their blessed union produced a son, Joseph Thomas Cunningham, in 1842. Another important, but less joyous, event occurred during the year, Kerr, Cunningham & Co. went bankrupt. The creation of the firm was ill-timed; the Panic of 1837 doomed the venture before it had a chance to gain a foothold. The panic was a direct result of the Specie Circular Act of 1836, which required property buyers to use specie (gold & silver coins) rather than bank notes. Up until that time it was common practice for settler migrating west to purchase their land on bank notes, many of which were backed by British investors. The passage of the Specie Act caused those investors to panic, and many of them called in the loans, requesting immediate payment in Specie. The public panicked and made a run on the nation’s banks which were headquartered in New York City and on May 10, 1837, the nation’s financial institutions stopped all payments in specie, effectively refusing the withdrawal of well over $150 million dollars in funds. The event launched the nation into a deep depression, and during the next 2 years 343 of the nation’s 850 banks failed giving the nation a shock from which it took years to recover from. Then as now, many of Cunningham’s clients paid on time, and when those payments stopped coming in, the firm was forced to reduce payments to their suppliers and by 1842 they were $6,000 in debt. Blanchard Dean and James W. Kerr abandoned the enterprise, but Cunningham though it was worth saving and he arranged to purchased the business from the firm’s receivers paying 18% interest* for the privilege. *In those poor economic times interest rates generally exceeded 9%; and 18% was not unheard of, especially when the assumption of a failed business’ debt was involved. The economy slowly improved and Cunningham resumed manufacturing buggies, carriages, wagons and sleighs and eventually returning to profitability. In its early days, word of mouth was the firm’s main source of new customers, but starting in the early 1840s Cunningham saw to it that his vehicles were displayed at as many county fairs and exhibitions as he could attend. Early in his career he is known to have periodically hitched up a string of buggies and traveled via Ridge Rd. all the way to Niagara Falls, more often than not returning home on horseback, indicating a successful trip. Another source of income was the numerous livery stables that were once as common as today’s petrol station. 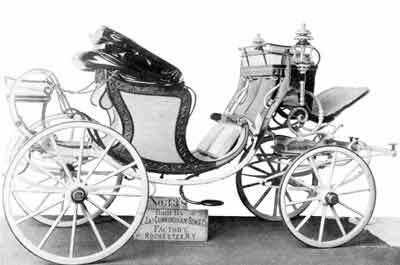 With a small deposit carriage-less citizens could obtain the services of a horse and carriage for a special occasion or Sunday drive. 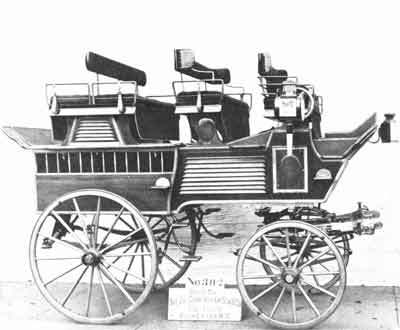 Although the carriages were sold to livery operators at a substantial discount, when compared to private sales, the resulting “free advertising” would usually bring in retail customers who had previously enjoyed a rented Cunningham carriage or buggy. 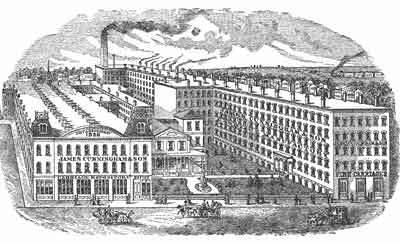 Misfortune stuck the firm once again in 1848 when Cunningham’s State St. factory was totally destroyed by fire. 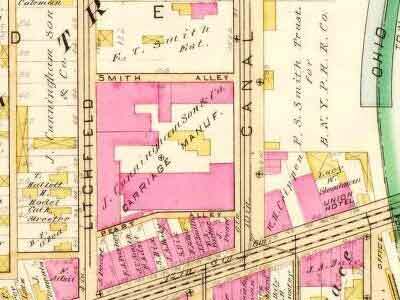 He subsequently purchased a 4 acre parcel of land on Canal St., which was located ¾ of a mile to the west, just north of Buffalo St. (now called W. Main St.) which would be the home of his new factory. 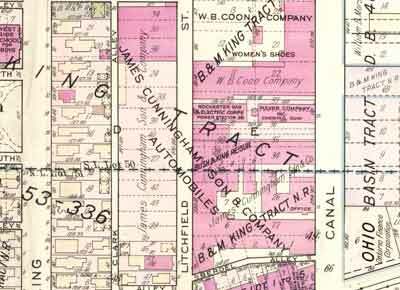 Cunningham’s choice of Canal Street for his new factory was no arbitrary decision. The property was located across the street from the Ohio Basin, an artificial harbor located just south of the intersection of the Erie and Genesee Valley Canals. The Genesee Valley Canal ran 107 miles south to Olean, NY where it joined the Alleghany River. In Pittsburgh, Pennsylvania the Allegheny and Monongahela Rivers formed the Ohio River which in turn joined the Mississippi River at Cairo, Illinois, 981 miles away. At that time canals were Cunningham’s primary means of shipping, providing the firm with a direct route to emerging markets in the South and Midwest and were a key factor in the firm’s future success. Although he had been able to pay off his original $6,000 loan dating from 1842, he did not have the resources to reconstruct his factory and once again was forced to borrow at the usurious rate of 18%. The first of the new factory buildings was constructed in 1849 and along with it a new house to house his now sizeable family of 4 children. Although it seems odd today, at the time it was not uncommon for factory owners to live adjacent to their businesses. Cunningham began to advertise his business sometime around 1850. 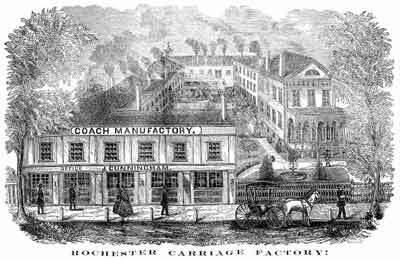 An 1852 issue of the Rochester Democrat included an account of a carriage built by the firm for an unnamed “gentleman from Chicago” whose price was $1,000. The financial panic of 1857 has been attributed to a number of causes, two of which directly affected Cunningham’s expanding western markets. The first was the long-term inability of railroad stocks to show a profit. As much as 25% of the nation’s capital was invested in railroad securities and when their values stalled, investors were put on edge. Next was the fallout resulting from the 1857 Dred Scott decision which threatened to open the nation’s western territories to slavery. Investors believed the decision would negatively affect the railroads, resulting in a decline in the value of railroads heavily invested in east to west routes, which led to a run on the nation’s banks. Over 5,000 railroad-dependent businesses failed, and Cunningham was amongst them. Rufus Keeler, a former Rochester Mayor, was appointed receiver for the bankrupt concern and just prior to the outbreak of the Civil War, he finalized a reorganization plan which enabled Cunningham to stay in business. As a favor to Keeler, the grateful Cunningham hired the latter’s nephew, Rufus K. Dryer - then 15 years old, as his office boy in early 1861. Within a few short years Dryer would become the company’s chief financial officer and marry his employer’s daughter Margaretta. While looking back over this period, Cunningham claims that he had no regrets to express, as the terms were the best he could make at the time, but he felt the necessity of freeing himself from the hands of the moneylender. Although he didn’t realize it at the time, the breakout of the War Between the States in April of 1861 would help get Cunningham out from under his indebtedness. 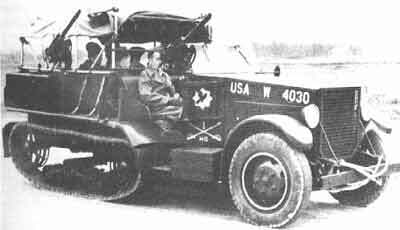 All of a sudden unlimited amounts of money were available for war-related expenditures, and the firm soon secured contracts with the US Government to supply the Army of the North with horse-drawn ambulances and limber, caisson and supply wagons. In the years before the Civil War Cunningham began offering hearses, which at the time were much smaller than the massive vehicles turned out by the firm in the late 19th century. 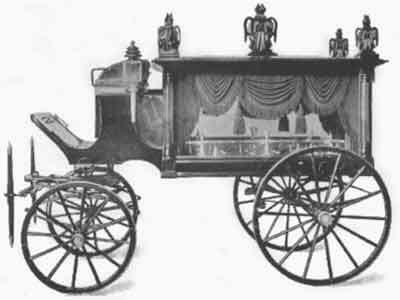 Cunningham’s early funeral coaches were modeled after the French Corbillard and featured large oval plate glass windows in the single rear compartment. 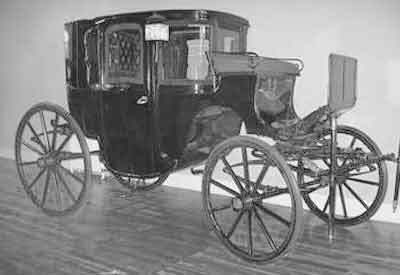 The coachmen sat in front of the casket compartment on an upholstered bench seat that was placed slightly above the centerline of the vehicle. Large silver-plated coach lamps were affixed to the leading edge of the casket compartment which was typically topped by a curved ornamental roof where tall black ostrich feathers were placed into small wooden ornamental vases attached to its four corners. The firm’s earliest known hearse sale dates from Civil War times and it was purchased by a Pittsburgh funeral director for $2,300, an incredible sum for that time. By the end of the war Cunningham was able to meet all of his financial obligations without having to borrow and for the first time in 25 years began to reap the rewards of his labors. In 1866 he admitted his son Joseph Thomas Cunningham into the firm as a partner, and two years later the legal partnership was reorganized as the corporate entity of James Cunningham & Son. Joseph T. Cunningham was born in Rochester, New York, in 1842. He was educated under the care of the Christian Brothers, and after graduation went to work for his father. In 1873 the nation was plunged into another financial panic that was precipitated by the May 9, 1873 meltdown of the Vienna Stock Exchange and the subsequent bankruptcy of the Philadelphia banker Jay Cooke & Co. on September 18, 1873. The latter event triggered a chain reaction of bank failures and even shut down the New York Stock Exchange for ten days. Of the country's 364 railroads, 89 went bankrupt. Many manufacturers were forced to lay off their workers and between 1873 and 1875, a record 18,000 businesses failed across the country. 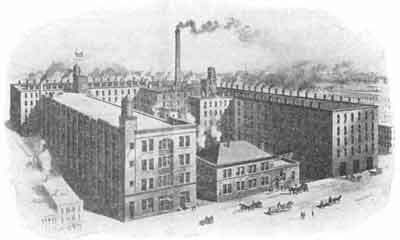 The resulting depression affected many Rochester businesses, but the post-war prosperity of Cunningham & Son enabled it to weather the storm and at the end of 1874, they employed a record 200 hands. In 1875, James Cunningham’s former office boy, Rufus K. Dryer, married his daughter Margaretta (b.1847) and was made a partner in the firm. Cunningham & Son’s prosperity increased exponentially during the second half of the decade. In 1876, the firm won medals for their carriages and hearses at the Philadelphia Centennial Exposition, and from that point on James Cunningham saw to it that they exhibited their vehicles at every opportunity. In 1877 Joseph T. Cunningham married Ellen N. Keogh, the daughter of Augustus J. and Elizabeth (Donelly) Keogh. The union was blessed with three sons; Augustus J., born in 1878; Francis E., born in 1883; and Rufus A., born in 1884. 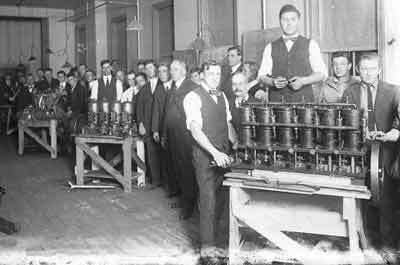 By 1880 the firm employed 400 operated repositories in Chicago, Illinois; Denver, Colorado; Des Moines, Iowa; Kansas City, Missouri; Louisville, Kentucky; Memphis & Nashville, Tennessee; New Orleans, Louisiana; San Francisco, California; and Topeka, Kansas. Although the majority of Cunningham’s vehicles were shipped using the Erie and Genesee Valley Canals, they were forced to changeover to rail as the Genesee Valley Canal closed down in 1878, although the Ohio Basin remained connected to the Erie Canal into the late 1880s. Luckily Cunningham’s Canal St. plant was situated within a ¼ mile of the freight yards of the Buffalo, New York and Philadelphia Railroad Co. (operator of the Rochester, New York and Pennsylvania Railroad) and the associated Buffalo, Rochester & Pittsburgh Railway Company. In the early 20th century Cunningham worked with the Western NY & Pennsylvania Railroad which was owned by the Pennsylvania Railroad. The abandoned Genesee Valley Canal was also filled in for use by the Genesee Valley Canal R. R. Co.
For a number of years James Cunningham had suffered greatly from arthritis and when he reached the age of 65 he handed over the day-to-day operation of the firm to the next generation by means of incorporation. Organized in 1882 with a capital stock of $803,000, all paid-in, James Cunningham, Son & Co.’s officers were as follows; James Cunningham, president; Joseph T. Cunningham, vice-president; and Rufus K. Dryer (his son-in-law), Secretary and Treasurer. The firm’s directors included all of the officers as well as Thomas Clements. Normally such an important event would be well-received by the workforce, but such was not the case. 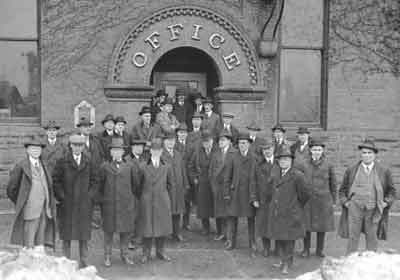 The recently organized local chapter of the Knights of Labor had succeeded in organizing the Cunningham workforce and they chose the bitterly cold month of January to launch a strike against the firm. At that time Cunningham management dictated that its front doors be locked every day at starting time, preventing any late arrivals from earning a wage for that particular day. Although the practice increased productivity by effectively eliminating all late arrivals, the Knights of Labor found it abhorrent. Their demands also included higher wages and a relaxation of the firm’s strict shop rules. The local committee of carriage makers had been rebuffed when they first brought their grievances to Cunningham’s management in December of 1881. The carriage makers’ union them brought the matter to the attention of the local chapter of the Knights of Labor, who agreed to represent them in the matter. Cunningham not only refused to negotiate with the labor organizers, they escalated matters by bringing in replacement workers. In March of 1882 fisticuffs broke out between the union and Cunningham’s strike-breakers and the Mayor of Rochester was forced to intervene. Cunningham agreed to a resolution as the strike was beginning to hurt his business and the union members returned to work. In the end Cunningham ceded to all of the union’s demands which included a 12½ cent a day raise and the relaxation of all objectionable shop rules, including the locking of the front doors. The positive results gave the Knights of Labor much-needed credibility and they remained an active force in Rochester’s labor movement into the early 20th century. 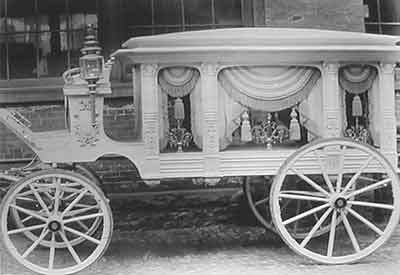 Cunningham’s Funeral Car dominated the industry until the close of the 19th century when smooth topped 6- and 8-column carved panel hearses replaced it. 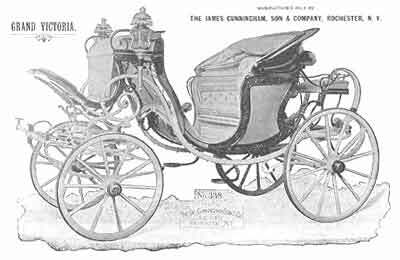 Not one to rest on their laurels, Cunningham’s catalogs soon offered all of the new popular styles as well as a complete line of carriages, ambu­lances, invalid wagons, casket wagons, embalmer’s carts and pallbearers' coaches. The 1882 move to incorporate was a timely one as James Cunningham joined the silent majority on May 15, 1886. He was 71. The official cause of death was blood poisoning, which was thought to be a direct result of a crippling injury incurred at the plant in March of 1884. His survivors included Mrs. Charles H. Wilkin, Mrs. R. K. Dryer, Joseph Thomas Cunningham, and Charles E. Cunningham. His wife Bridget preceded him in death and he was borne to his grave in a Cunningham hearse. In the late 1880s the firm’s employees established their own insurance fund, the James Cunningham, Son and Company Mutual Aid Association, in order to provide insurance against sickness and accidents. Employee’s wives and daughters were eligible for enrollment, and membership did not cease when an employee left the company. 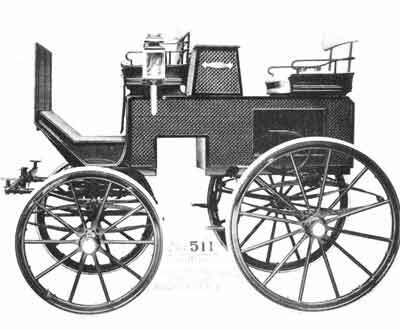 Although Cunningham produced a wide variety of open (breaks, gigs, dog carts, vis-à-vis, tally-ho’s) transformable (phaetons, landaus, victorias) and closed (coupes, berlines, limousines) carriages and sleighs, by 1890 their professional vehicles (ambulances, invalid coaches, hearses, embalmer’s and undertaker’s carts) were their main line of business. 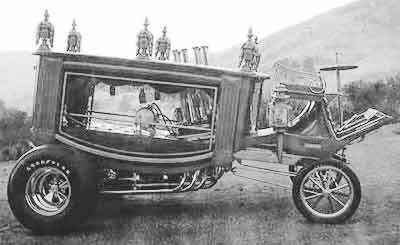 “Gothic Hearse Built by James Cunningham Son & Co., Rochester, New York. “The hearse illustrated herewith is one of the most elaborate vehicles of its character ever built in this country. It was designed and constructed by James Cunningham, Son & Co., of Rochester, New York, and built to the order of the La Equitative Co., Caracas, Venezuela, South America, through the New York commission house of Sholts, Sancher & Co. It is much to the credit of the builders that they obtained the order in competition with European firms in London, Paris, Vienna and Berlin. “The body is unlike any heretofore built in this country, being of a general Gothic architectural design. Its extreme length is fourteen feet; height, eight feet. The inside dimensions are seven feet nine inches in length and four feet in height. “The carving on the body is hand work throughout and required the service of fourteen carvers between three and four months. The interior woodwork is of solid mahogany, paneled and carved. The inside drapery is of heavy broadcloth, edged with heavy mohair fringe. The rails are heavy silver plate with gold‑plate standards and lips. The lamp, were specially designed to correspond with the body and are silver throughout with gold reflectors. The hammercloth is an exceptionally fine piece of workmanship, the trimming of which as well as the hammercloth itself was made to order by Sheaefer & Schlegel, of Rochester. “The woodwork of the carriage part, including the hubs and spokes is elaborately carved. The handles and hub‑band are of heavy silver plate. The caps being of silver, having as ornaments an eagle's head and wings. “The glass panels as well as that in the lamps are heavy plate with beveled edges. Much of Cunningham’s commercial success at the end of the decade was due in no small part to Martin Gabel, the firm’s chief designer and superintendent of construction. Gabel was born in Mainz, Germany, October 24, 1857 to an old and respected family, his father being burgomaster of the town. His father passed away when he was only two years old, but he remained in Mainz and finished his primary education. At the age of twelve he emigrated to the United States where he joined his Uncle, who now made his home in New York City. 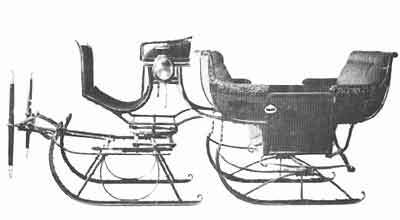 After completing his secondary course of education he was apprenticed to John Miller, a carriage builder located in the village of Andes, Delaware County, New York. When his apprenticeship was completed he found work in the woodshop of Brewster & Co.’s Forty‑seventh St. and Broadway manufactory. While working for Brewster, Gabel studied mechanical drawing and carriage design at technical college, which prepared him for his next position as woodshop foreman at James Gray & Co. which commenced in 1877. While at James Gray Gabel was promoted to plant superintendent and chief draftsmen. For a short time Gable embarked on a career as an independent designer and draftsman, where he became associated with the Holcomb Bros., of New Haven, Connecticut, and J. Curley, of Brooklyn, New York. In 1888 he was engaged by Cunningham as chief designer and superintendent of construction. While in Rochester he achieved his greatest triumph when at the 1893 World's Columbian Exposition, Chicago, every vehicle designed by him, and entered for competition, won an award and a medal. In the fall of 1897, he accepted a partnership in Columbus with the firm of Meyer & Schlecter. On the dissolution of the firm in the fall of 1899 he returned to Rochester were he was admitted as the branch manager of Cunningham’s New York City branch. While working in that capacity he became ill, and returned to his home in Rochester to recuperate. Several days later, June 1st, 1901, he passed away at the age of 44. Martin Gabel was survived by his wife, and three children, Arthur, Alexander and Catherine. Cunningham and Dryer were not only business partners and brothers-in-law, they were good friends. In the early 1880s they built neighboring mansions on Rochester’s East Ave. and for the summertime, neighboring homes on Lake Ontario. They later purchased an island in the summer resort community of Sodus Bay, which was located 45 miles east of Rochester. Rochester’s Asbury First United Methodist Church was erected in 1952 on the site of Rufus K. Dryer’s 396 East Ave. (now1040 East Ave.) mansion, which was constructed in the early 1880s. Built next door at 386 East Ave. (now 1000 East Ave) at about the same time was Joseph T. Cunningham’s mansion which was leveled in 1959 to make way for the Scarborough House apartments. His son, Augustine Cunningham, lived there until his death in 1957. Dryer was good friends with George Eastman, the founder of Eastman Kodak. In 1894 Dryer alerted Eastman, who was in England, to the availability of a neighboring mansion, via transatlantic cablegram. Eastman purchased the Wilson Soule House, which was located at 400 East Ave. (now 1050 East Ave), and moved in during 1895. The house still exists and is owned by the Asbury First United Methodist Church who uses it as their office. 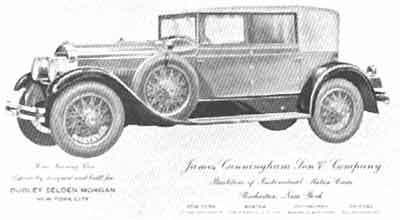 During his lifetime Eastman owned a number of Cunningham carriages and purchased a Cunningham automobile in the late teens. “Exhibition of the National Export Exposition, Philadelphia, Pennsylvania. “The James Cunningham Son & Co., Rochester, New York. 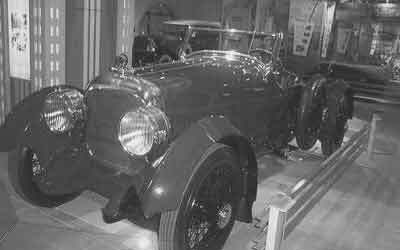 “They had on exhibition four elegant vehicles, including a coach, full size round brougham, a five glass landau and a funeral car. The outlines on the side elevations of the coach were convex‑concave and the bottom doors curved in the same way. This is one, of the latest things produced by this concern. The shape of the turn‑under was convex only. It had the old style boot, but a very short and well proportioned front gear. The lower panels were deep green, striped one fine line of red through the center of the molding; the upper part of the body and the boot were black. The trimming was in green cloth, the front and edges bound with leather inside; the lower part was green cloth and the upper part green satin, including the head lining; the style was diamonds, cushion fronts and falls, broad nice. Finish: rubber tires, three electric lights, one in the center of the head lining and two in the lamps on the boot, Collinge axles, fenders on door, moldings upper side quarters and back, wood pump-handles, fenders on boot, hovel edge glass, stiff curved draw bar grate steps, pole futchels, deep green carpet, rubber mat in front and brass mounted lamps of attractive pattern. “The brougham was full size extension front. It had large coupé pillars, large front with medium round corners and regular style of boot. The body was suspended on two elliptic springs in front and coach platform springs in the rear. It had wooden pump-handles, with rocker plates running on the inside the entire length of the pump‑handles. The suspension was the same as the coach. The lower body panels were painted in deep brown; the upper part and boot, black, striped one fine line of gold on the inside edge of molding; the gear, Indian red, striped two lines of black, 3/4 inch apart for wheels, the rest two 1/8 inch lines of gold 5/8 inch apart. The inside was red satin throughout; style, diamonds; lace and carpet to match; the driving seat, brown cloth and plain as usual. Finish: glass frames covered with brown cloth, bevel edged glass, rubber tires, rosewood finish throughout and mountings of brass. “The five glass landau had full round side quarters and angular doors with sharp round corners. The belt rail was convex concave, and the fence rail straight; a concave bracket and regular style boot. The gear and entire suspension were like the others. Fenders front and back, rubber tires, grate steps without covers, but with branch shanks. The body was painted deep green; the upper part and boot, black; the gear, Brewster green, striped three lines 3/4 inch apart. Trimming: fawn colored cloth, style and finish as above. The most notable feature about this exhibit, while first class in workmanship and material throughout, was the painting and striping, which excelled anything else in the carriage line. Joseph T. Cunningham ran the factory while Rufus K. Dryer managed its finances. 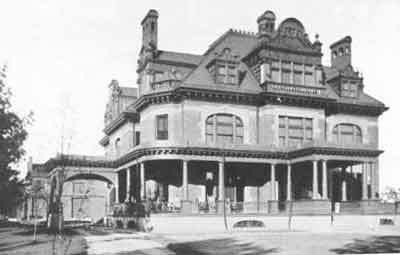 Cunningham and his family were patrons of the arts, and his youngest son, Francis E. Cunningham, married a talented New York City artist, Kathleen McEnery, who relocated to Rochester where she maintained a studio in her East Ave. home which was later donated to the Rochester Museum and Science Center. Rufus Dryer was an avid sportsmen and recreational hunter. He kept his 56’ yacht Cinderella at his summer home on Lake Ontario and was active in community affairs and banking for many years. Dryer was a lifelong member of the Chamber of Commerce, and served as president of the Merchant's Bank, vice-president and president of the Monroe County Savings Bank, and sat on the boards of the Hahnemann Hospital (renamed Highland Hospital in 1921) and the Security Trust Company. In 1909 Joseph T. Cunningham and Rufus K. Dryer retired, handing over the day-to-day management of the firm to the next generation, Augustine J. Cunningham, Francis E. Cunningham and James C. Dryer. Joseph T. Cunningham died in 1914 and Rufus K. Dryer passed away in 1937. Augustine, a 1905 graduate of Harvard University, became president. He was Joseph Cunningham’s oldest son, and had started working for the firm in the late-1890s as had his younger brother, Francis E. Cunningham, another Harvard man. James C. Dryer, an MIT (Massachusetts Institute of Technology) graduate became Cunningham’s vice-president of engineering. 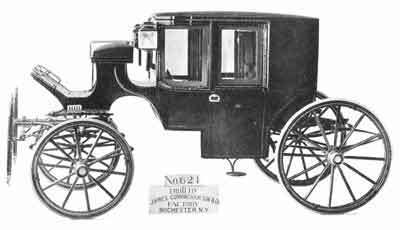 “The George L. Brownell carriage business, of New Bedford, Mass., one of the oldest in New England making hearses, ambulances and coaches, has been acquired by James Cunningham, Son & Co., of Rochester, N. Y., as the result of a merger which has been consummated. “Under the new arrangement the Brownell family retires from any interest in the business and retains the real estate and factory buildings. The business will continue under the supervision and management of William C. Barker, who has been superintendent and manager since the death of Mr. Brownell in 1903. No permanent plans are announced by the Cunningham Company, but for the present the factory will be continued, as the books are filled with orders for delivery during the spring. In addition to hearse and ambulance work, the business includes automobile features. 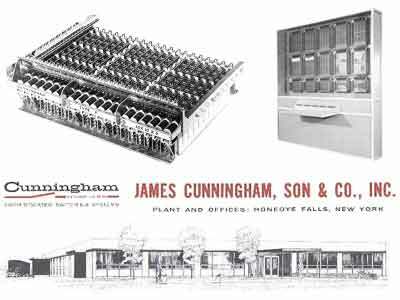 Once the plant's orders were fullfilled, Cunningham shut down their New Bedford operations, consolidating Brownells sales department into their own as the main purpose of the acquisition was to convert existing Bronwell customers into Cunningham customers. 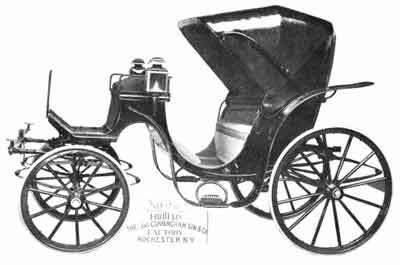 In 1896 Cunningham explored the possibility of manufacturing an automobile with the Charles and Frank Duryea of Springfield, Massachusetts. Details of the arrangements are lacking, but no vehicles are known to have been built. 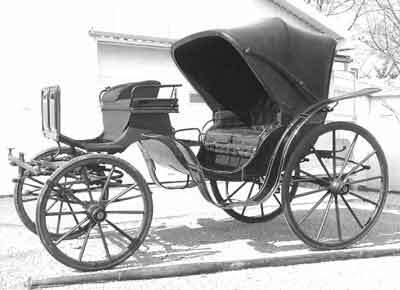 Some accounts state that Cunningham engineers produced an electric carriage in 1900 in order to test its capabilities, but confirmation is lacking. The only electrics documented by Cunningham historian Winfried G. (Andy) Yengst date from 1907 when the firm produced a prototype electric runabout. Yengst reports that a few of these (possibly 4) were built in 1908, designated as style No. 731. No mention is made of an electric after that date. By that time engineers were busy on developing an assembled gasoline-powered car. Between 1909 and 1910 six different models, the A, B, C, D, E, and F were produced using various combinations of motors, axles and transmissions. Available in touring, limousine and landaulet editions, early Cunninghams were powered with either a Buffalo or Continental 4-cylinder engines and most used Brown-Lipe transmissions. The experimental combinations built from 1909-1910 resulted in the Cunningham Model H, which appeared late in 1910. 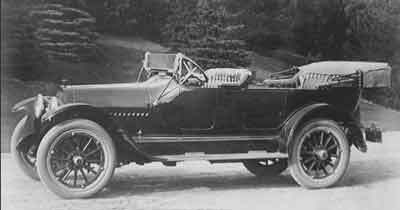 The $3,500 Model H touring and $4,500 Model H Landaulet featured a Cunningham built 40- hp. 4-cylinder over-head-valve engine, a leather cone clutch, a proprietary 3-speed transmission, and a de Dion-style rear axle. The 124” wheelbase chassis featured semi-elliptic front springs, and three-quarter elliptics in the rear. Spark was furnished by a Bosch magneto and lighting was courtesy of Prestolite. The Cunningham-built coachwork included an adjustable windshield, mohair convertible top, and standard robe and foot rails for the rear seat passengers. Accessories included a speedometer, 2 spare rims and a complete set of tools. The virtually identical Model J debuted in 1911, and was now available in four body styles, a 2-passenger runabout priced at $3,250, a 7-passenger touring at $3,500, and a 7-passenger limousine and landaulet, which were both priced at $4,500. The cars came fully equipped with “nothing to buy but the license”. One of the firm’s touring cars was chosen to accompany the officials of the 1911 Glidden Tour, but little good publicity would result as an inexperienced driver crashed the vehicle during the tour, killing one of its passengers, and seriously injuring another. 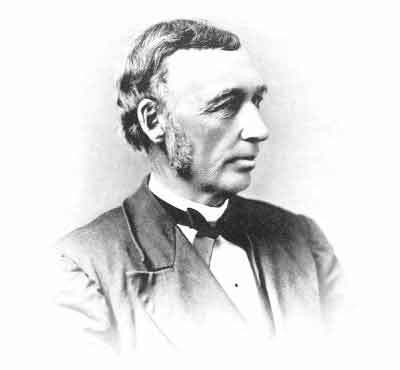 Cunningham’s engineering department was headed by James C. Dryer, vice-president of engineering. During the early twentieth century the firm’s engineers included: Mr. Berger, J. Lawrence Hill, Arthur H. Gabel, Volney Lacey, Gustave E. Franquist (21 patents), Albert Franquist, Charles J. Sawens and Herbert H. Harmon. Also under Dryer’s control was the firm’s body design and engineering department which included chief designer George Carson Baker (G. Carson Baker), and his able assistant, former Pierce-Arrow engineer and designer David Fergusson (1869-1951). Baker, whose father Charles Baker was a longtime Cunningham carriage painter, was put in charge of the firm’s drafting department after Martin Gable left in 1897. Fergusson, was born in 1869 in Yorkshire, England. After graduation from the Bradford Technical College in 1889, he emigrated to the United States where he found a job with the E.C. Stearns Co. of Syracuse, New York. In 1901 he went to work for Pierce-Arrow in Buffalo, New York as their chief engineer. 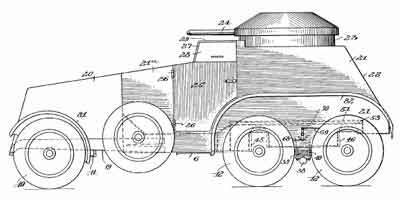 Fergusson held 12 US patents relating to automobile engines and bodies. Fergusson came to Cunningham in 1921 and was the designer of the firm’s 1930s prototype half tracks and armored military vehicles. Between 1909 to 1912 Cunningham manufactured a significant amount of closed and transformable production automobile bodies for Cadillac, Chalmers, Empire (electric), Gaeth, Peerless, Velie, and others. Also manufactured were taxi-cab bodies for both local operators and a large syndicate headquartered in New York City. Based on their long history as a coach builder Cunningham was one of the first US automakers allowed to exhibit at the Importers Auto Salon which was held each winter in New York City. As they did not have an extensive dealer network, Cunningham relied upon the annual salons in New York, Boston, Chicago, Los Angeles and San Francisco to bring in new customers for their dealers, which for the most part were located in major US cities. In smaller markets undertakers who used Cunningham equipment frequently served as Cunningham dealers. Even though the car was one of the most expensive cars of its day, sales slowly improved and by 1912 fully one third of Cunningham’s 488 employees were involved in the car’s production. 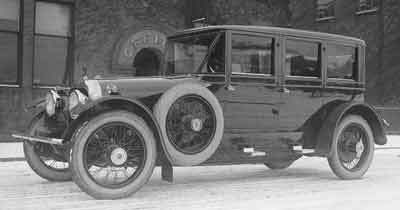 The firm’s Model J remained the firm’s only model, but the coachwork offerings were increased. 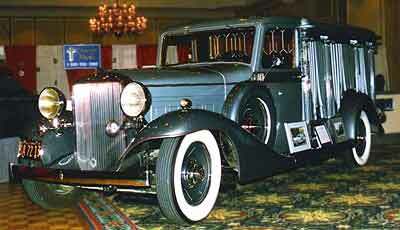 New this year were a 5-passenger phaeton, a 4-passenger torpedo and a 4-passenger toy tonneau, both priced at $3,500. For 1913 the Cunningham line featured a new Cunningham-engineered 36 hp 4-cylinder and was rechristened the Model M. Prices and coachwork were identical to the previous years, albeit with three changes. The torpedo could now carry 5-passengers, the price of the 7-passenger limousine was raised by $100 to $4,600 and a 7-passenger Berline-Limousine debuted at the same price. Changes for 1914’s Model R line consisted of an increase in wheelbase to 129” and an increase in prices due in part to a new 3-speed Brown-Lipe transmission and West­inghouse electric starter. The torpedo was dropped, the price of the runabout increased to $3,500, and the cost of the 4-, 5- and 7-passenger tourings was now $3,750. Joseph T. Cunningham, the firm’s president between 1882 and 1909, died at his East Ave. home on March 24, 1914 after an extended illness. The prices and specifications of the 1915 and 1916 Cunningham Model S, were the same as the 1914 Model R.
Two experimental vehicles, the Model O and Model T, were constructed between 1913 and 1915 to test out proposed T-head 4- and 6-cylinders engine designs. They were built without running boards and featured aerodynamic slender bodies, two traits that would be included on later production vehicles. 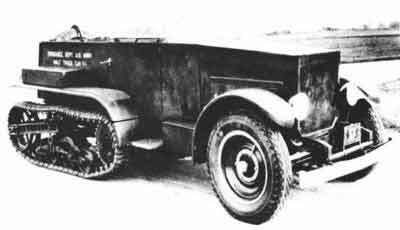 A prototype Cunningham 3-ton truck, the Model W, was constructed between 1914-1915 and although it never entered production, it was used around the factory for many years. 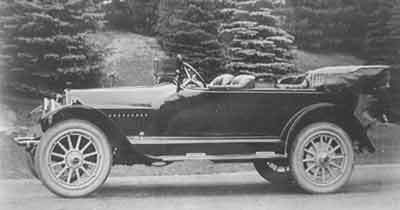 In late 1916, the firm introduced the Series V. Named for its Volney Lacey-designed and Cunningham-built 442-cu.in. 45 hp side-valve V-8 engine, the car also included a new Brown Lipe dry multi-disc clutch, 3-speed Brown Lipe transmission, Timken-Detroit axles, rear wheel brakes, Lynite pistons, Westinghouse lighting and ignition, wire wheels and a 132” wheelbase chassis. Within the car’s attractive German silver radiator shell lay a cellular core air-tube radiator of 26 (later 29) quarts. Cunningham chassis remained unchanged through 1924 except for minor details such as tire size and wheelbase (a 142” wheelbase became available in 1920). Totally redesigned coachwork included 5- and 7-passenger tourings, a 2-passenger roadster, a 3-pasenger runabout and a 4-passenger toy tonneau all priced at $3,750. A 4-passenger coupe, 4-passenger roadster coupe and 5-passenger sedan debuted at $4,500, and at $5,000, a 5-passenger touring sedan, a 6-passenger town car and an 8-passenger Berline. As on today’s luxury cars, Cunningham’s list prices were rarely the car’s actual selling price as optional equipment and interior upgrade could raise the selling price by a significant amount. While one half of Cunningham’s workforce was busy producing their motor car, the other half was busy producing their well-known line of motor hearses and ambulances. Cunningham exhibited their first motor ambulance at the February 1909 Rochester Automobile Show which was held at Rochester’s Convention Hall. Cunningham was not only the most expensive professional car builder but also the most conservative. Styling remained similar to the firm’s horse-drawn professional car offerings, albeit powered by Cunningham’s proprietary hears and ambulance chassis. As late as 1916, they were still using huge two to three-foot high carriage lamps that dated from the 19th century. However that conservative reputation earned them a loyal following among large livery services in the Northeast. It was not un­common for large funeral fleets to be made up of matched Cunningham limousines and motor hearses. Respected hospitals throughout the country very often kept their own fleet of matched ambulances and invalid cars, and more often than not, they were built by Cunningham. Starting in 1917 Cunningham started supplying purpose-built military ambulances to the both the US Army and its Allies. In addition to the customary depot-hack style Army field ambulances; they also built a number of very attractive limousine-style ambulances for the US Navy. While the nautical-minded are aware of what a windlass is, landlubbers may not be acquainted with the devices which are used today to control the sails of a sailboat. The windlasses manufactured by Cunningham for the US Signal Corps. 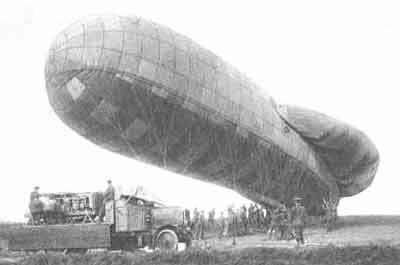 during 1917 and 1918 controlled a somewhat larger wind-powered object, the Caquot-type observation balloon. As a traditional spherical balloon spins and bucks terribly when tethered to the ground, German engineers came up with a kite-shaped balloon that would remain pointed into the wind, increasing its stability. French Lt. Albert Caquot refined the design with the inclusion of three inflatable tailfins position at 120 degree intervals around the aft section of the gas bag that were kept inflated by airscoops that faced into the wind. Caquot-type balloons were used extensively for artillery-spotting during the First World War and were capable of lifting an observer and his instruments several thousand feet into the air. In order to keep the balloons under control they relied upon a motorized mechanical mooring system which was connected to the balloon via a heavy steel cable. The cable was attached to moveable engine-powered spool that could quickly return the balloon to earth when the enemy was spotted, or if it encountered enemy fire. With the US on the verge of entering the conflict, just to be on the safe side, Cunningham was awarded a contract to supply the Army Signal Corps with 25 windlasses based on the proven French model currently in use. The basic assembly consisted of a heavy iron frame fitted with a Cunningham V-8 en­gine driving a large metal spool equipped with 1 mile of steel cable with a built-in communications cable. The engine-powered take-up reel could pull down a balloon at a rate of between 1200 and 1600 feet per minute. The windlass framework and engine was then fitted to the rear of 3-ton FWD military truck, which could tow an airborne balloon at 5 miles per hour. A large radiator cooled the Cunningham V-8 that was fitted with a Zenith carburetor and a Dixie magneto. Power was relayed through a clutch and reversible planetary transmission connected to a bevel gear and pinion set that drove the giant spool of cable. While Cunningham’s windlasses were the first to be put to use, the McKeen Motor Car Co., of Omaha, Nebraska, started production on a windlass designed by the United States Army Balloon School. Another manufacturer, the NCL Engineering Co. of Providence, Rhode Island also produced a windlass of their own design. Period accounts indicate that Cunningham and McKeen were given initial orders of 25 units each, and NCL an order for 50 examples. Through the course of the war Cunningham claims to have built 100 examples. During their short time in Europe, US balloon observers were credited with directing artillery fire at 316 targets, noting 11,856 aircraft, and reporting numerous enemy activities. The Series V Cunningham was produced in series editions rather than model years and offered a choice of wheelbases, depending on the body style. 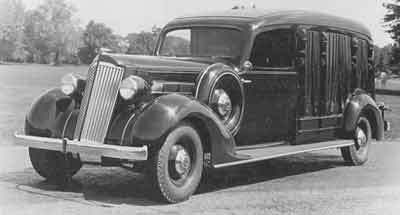 Three chassis were manufactured; 132” and 142” wheelbases for passenger cars and a flat framed 143" wheelbase for hearses and ambulances. The Series V-2 featured a 4- and 7-passenger touring and 4-passenger roadster all priced at $4,250. A Limousine, Berline, Coupe, and Town Car were available for $5,500 and a Landaulet was offered for $5,750. During 1917 Cunningham introduced a number of new carved-style hearses for domestic use. One stunning example, the arched window hearse, included center window glass that extended through the roofline. For 1918 Cunningham offering a Continental red-seal straight eight-cylinder engine as an extra-cost option on their professional car line. 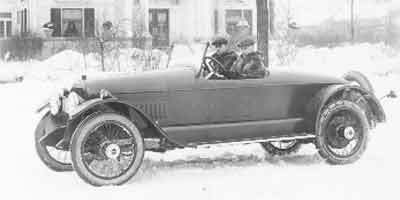 The Series V-1 was produced between 1916 and 1917 and it was succeeded by the virtually identical Series V-2 which was produced in 1918-1919. The Series V-3 marked the debut of an all new Lacey-designed 95 hp V-8 and Delco ignition. The low-compression 3-main 442 c.i. engine had a gear-driven oil pump, 2-piece cast aluminum crankcase, cast iron pistons and a 2-plane counter weighted crankshaft mated to a Brown-Lipe 4-speed overdrive transmission. Series V-3 Cunninghams were once again offered with a choice of body styles, but prices were increased to cover the cost of the new V-8. 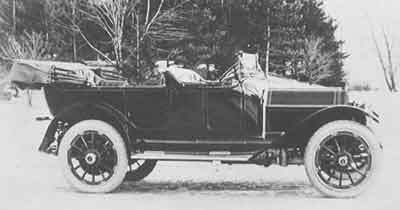 On the 132” wheelbase a 4-passenger touring and roadster were available for $6,200 and a sedan for $7,600. On the new 142” wheelbase a 6-passenger touring was available for $7,600 as was an inside drive limousine, town limousine and landaulet - all priced at $8,100. For 1919, Cunningham introduced a new hearse which could be ordered with either glass or carved-wood panels between its 8 columns. Progress came slowly to Cunningham, but their coach lamps were starting to come down in size from their former 36" to a more manageable 24". Although Cunningham did not participate in any racing, they did sponsor Ralph dePalma’s successful November 17, 1919 record breaking attempt at the Sheepshead Bay Race Track, in Brooklyn, New York. DePalma established the following AAA sustained speed records for stock automobiles in a stripped, 1919 Series V-3 Model 71 roadster: 6 Miles - 3 Min. 57.80 sec., 8 Miles - 5 Min. 16.60 sec., 10 Miles - 6 Min. 35.40 sec. The Series V was the vehicle that earned Cunningham the designation as the American Rolls-Royce. It did have some domestic competition, namely the Simplex and McFarland, but neither challenger was made in any significant quantity. The Cunningham remained the dominant American luxury car until the introduction of the Springfield Rolls-Royce in late 1919. Starting in 1920 most Cunningham’s were furnished with fashionable drum-type (barrel-shaped) headlamps which were included as standard equipment through the end of production in 1931. Nickel-plated, they were identical to those used on the Springfield Silver Ghost and featured Bausch and Lomb lenses, another fine made-in-Rochester product. Rufus K. Dryer might have had a hand in green-lighting Cunningham’s auxiliary fender lamps which first appeared on the 1915 Model S. They closely resembled miniature ship ventilators and they became a Cunningham trademark. The lights were built by Cunningham and originally featured curved glass lenses sourced from the bottoms of imported liquor bottles. With prohibition looming on the horizon, the lamps were redesigned in 1918 to make use of standard flat glass lenses sourced from Bausch & Lomb. 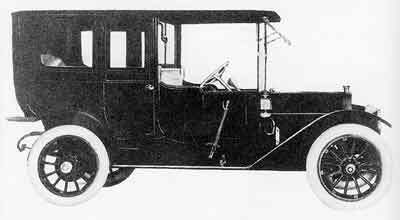 For 1920 Cunningham introduced a new limousine-style ambulance whose gurney-compartment leaded-window treatment would remain popular for the next 15 years. This new modern-looking ambulance marked the first appearance of a new feature that remains with us to this day; the attendant's side-entrance. The introduction of the new coach necessitated the need for a redesign of their massive coach lights. Even the most conservative director welcomed the new downsized (16") coach lights especially when they were placed on a beautiful 8-column carved-panel coach. Cunningham’s automobile business peaked in 1920, when the firm’s 450 employees built a record $3,200,000 worth of motor vehicles. Included in the total were 600 passenger cars, 75 hearses, 36 ambulances and 25 caskets carriers. By 1922 a large number of Cunningham's limousine-style combination coaches had been delivered to funeral directors and livery services across the country. Even though every Cunningham was given a thorough road test before delivery, problems occasionally cropped up. As the firm did not have a dealer network in the normal sense, the factory would dispatch a mechanic from Rochester to attend to ailing vehicles if the family chauffeur was unable to complete a repair. 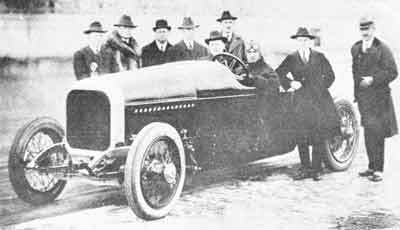 Cunningham manufactured a small number of boat-tailed special speed roadsters and tourings in the early twenties which were referred to as DePalma Speedsters in honor of his record setting 1919 run. Built without running boards, the attractive cars featured a slanted windscreen, cycle fenders, side-mounted spares, and nickel plated foot steps. List prices on later versions indicate the earlier editions were likely priced between $7,500 and $8,000. Cunningham automobiles were sold to the rich and famous, not just to funeral directors. Cunningham clientele included Fatty Arbuckle, Cecil B. De Mille, George Eastman, Douglas Fairbanks Sr., Marshall Field, Amelita Galli-Curci, Hoot Gibson, William Randolph Hearst, Harold Lloyd, Mary Pickford, Samuel L. Rothafel, Lewis Stone, Blanche Sweet and Philip & William Wrigley. Series V-3 and V-4 Cunningham tourings were sometimes pictured with stunning Victoria tops that were apparently extra-cost accessories as they aren’t included in any of the firm’s price lists. 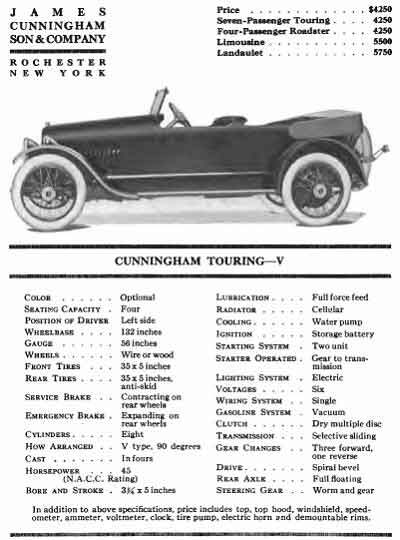 The prices on Series V-4 Cunninghams remained stable with a $6,000 town car and cabriolet, a $6,200 6-passenger touring and $7,600 limousine available on the 132” chassis. The 142” chassis offerings included a 6-passenger touring for $6,700, a 7-passneger touring for $6,800, and a town car and cabriolet, both priced at $8,100. 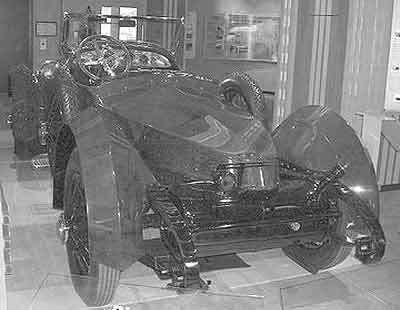 Cunningham’s most expensive vehicle was constructed in 1924-1925 on a 148” wheelbase Series V-4 chassis for Major M.K. Lee, a retired Baltimore/Washington businessman and well-known amateur pilot who owned a vacation home in Rye, New York. In 1928 Lee made the first 1500-mile nonstop flight from Miami to New York City. Built using an enclosed drive limousine body with leather-covered rear quarters, the car featured almost $9,000 worth of special features and accessories. Mechanical improvements included a 50 gallon gas tank, an auxiliary oil tank, a Kellogg one-shot chassis lubricator and a trio of windshield wipers. Cunningham’s characteristic fender lights were discarded in favor of cowl-mounted auxiliary lights and a pair of moveable spot lights. The interior was outfitted with leather seating and a Rochester-made Stromberg-Carlson radio receiver. As the Major was a heavy cigar smoker, four smoking sets were included as well as two electric fans that helped draw the smoke outside the vehicle. The dashboard was fitted with a full compliment of aero gauges including an air speed indicator, altimeter and compass. Auxiliary auto-related instrumentation included a pair of motor meters, an ammeter, a tachometer, a voltmeter, and a French speedometer. In all 42 instruments, switches, and miscellaneous gadgets were affixed to the Major’s $15,000 vehicle. Another vehicle that was in all likelihood never constructed was found in a Cunningham folder held by the Automotive Collection of the Detroit Public Library. It contains a mimeographed brochure depicting an armored limousine, prepared for an unknown client. Illustrated with renderings the prospectus is undated but depicts a Series V-4 3-window limousine on a 142” wheelbase chassis. The formal sedan body measuring 77” high and 72” wide depicts a passenger compartment (roof, sides and floor) shielded by 1/16-inch armored plate. Estimated weight of the vehicle was 6,914 pounds, which would have surely overloaded the 32” x 6” tires listed in the specifications, which also gave atop speed of 60 mph. Although it’s not mentioned by name, the 1/16-inch plate was likely Bovite, a product of the American Armor Corp. The firm claimed that a 1/16-inch thick piece of Bovite would stop a .45 caliber bullet. At 2½ lbs. per sq. ft., Bovite was considerably lighter than anything else on the market. In 1925 American Armor produced a prototype Dodge and Buick sedan equipped with the new material in order to demonstrate Bovite's potential. The material could be worked like ordinary auto­-grade steel, however its additional density required that rivet holes had to be punched out with a large press, rather than drilled. One unusual feature of the limousine body was the overabundance of rivets. While American Armor’s prototype Bovite sedans used standard body moldings to cover the joints where the panels were riveted to the body, the Cunningham sedan was literally studded with huge rivet heads. In fact, the body looked as if it were advertising the fact it was armored, unlike today’s heavily disguised armored limos and SUVs. It’s conceivable that the vehicle was designed to ward of potential attackers, rather than to surreptitiously protect its inhabitants. The renderings depicted the firm’s standard three-quarter elliptic rear suspen­sion, although the specifications listed a worm-drive rear axle instead of the firm’s standard spiral-bevel Timken rear units. Presumably this was a Timken inverted worm drive, which was commonly used at the time to reduce the intrusions of the rear axle into the passenger compartment. Included was a description of the vehicle’s 806 cu. ft. shipping crate, so it may have been destined for shipment overseas. No body No. is included and as no pictures exist it’s likely the armored body was never produced. The Cunningham Series V-4 was produced in 1921-1923 and the Series V-5, with its revised 90 hp V-8 engine from 1923 to 1925. The V-4 is easily distinguished from earlier models by its straight front radiator. Series V-1, V-2 and V-3 employed thick round shouldered radiators. Unusual combinations of radiators, engines and transmissions were occasionally turned out, particularly on the professional cars dating from the mid twenties. New old stock Series V-1 radiators were used as late as 1923, and a curious extra-tall gabled radiator appeared on some Series V-5 passenger cars delivered in 1924. Prices for Series V-5 Cunninghams remained almost identical to the previous series. Only one body style, a 4-passenger touring priced at $5,800 was listed in the 132”wheelbase. 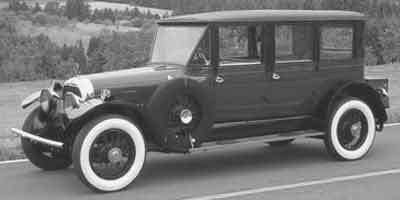 A 6-/7-passenger touring on the 142” wheelbase was priced at $6,300 while a 4-/6- passenger limousine on the same chassis was available for $7,700. A 4-speed overdrive transmission was optionally available on Cunningham’s passenger cars starting in 1922, and the counterbalanced crankshaft that was made standard equipment in 1926 on the Series V-6 was available at extra cost starting in 1924. During the mid-twenties Cunningham used a Continental Red Seal engine on the firm’s professional car chassis, but it was not available in the passenger car line. Some 1923 Cunningham limousine-style full greenhouse funeral cars featured four identical windows per side with luxurious draperies surrounding the three windows back in the casket compartment. The 1924 Cunningham service car offered a graceful alternative to the truck-based service vehicles offered by other manufacturers. 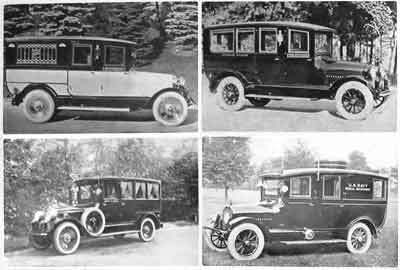 Other manufacturers clearly copied Cunningham's beautiful 1925 invalid coaches and ambulances. Equipped with their sturdy 8-cylinder motor, mechanical 4-wheel brakes, and stylish nickel-plated disc wheels, these coaches featured large leaded-glass windows and a distinctive beltline that highlights the name of the hospital or operator. 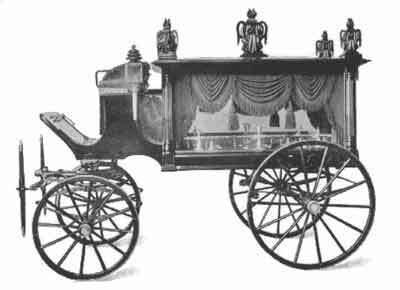 Their popular landau-styled funeral coach featured a small vertical opera window that was fitted under the front of a smaller landau bar. 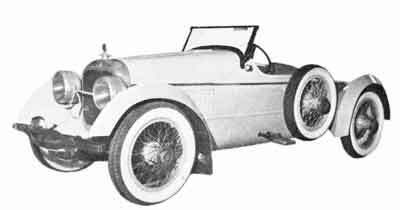 The 1926 Cunningham Series V-6 heralded the debut of a 90 degree V-8 with aluminum heads, a counterbalanced crankshaft and Bendix starter drive. Delco now supplied all of the vehicle’s electrics (lighting and ignition) and the firm commenced using 4-wheel mechanical brakes, Houdaille shock absorbers and a new Cunningham-built 3-speed +overdrive transmission. 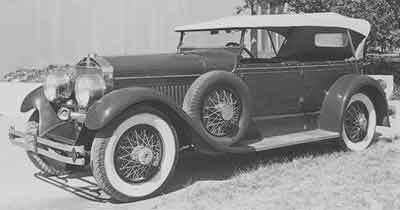 132” wheelbase Series V-6 Cunninghams were available as a $5,800 roadster and as a 4-passenger sport touring or 6-/7-passenger touring at $6,300. Prices for the 142” wheelbase chassis were as follows; 4-passenger sedan, $7,150; inside drive limousine, inside drive cabriolet, French brougham and cabriolet all priced at $7,650. The Series V-7 built in 1927-1928, featured a slight increase in horsepower to 106 hp, and its clone, the Model V-8 debuted in 1929. Professional car chassis continued to use 4-speed Brown-Lipe transmissions through 1931. 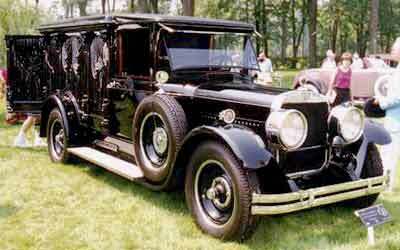 In 1926 a fleet of handsome Cunningham's limousine-style funeral coaches were delivered to the Patterson, New Jersey funeral livery firm of Zabriskie & Scott. They continued to build a few 8-columned glass and carved-paneled funeral coaches, but these outdated relics of the 19th century were clearly on their way out. By 1927 Cunningham's massive coaches were beginning to look outdated and their exorbitant prices didn't help matters. They manufactured a couple of highly-publicized $13,000 armored ambulances starting this year for J.T. Hinton & Son, a large Memphis ambulance service and funeral home operator. Constructed on a Packard chassis using bulletproof glass and heavy boiler-plate panels, they featured running hot and cold water and a modern heating & ventilation system and were designed with the help of Captain Frayser Hinton. A WWI veteran, Hinton felt his employees needed the extra protection as Memphis was considered to be "The Murder Capital of the World" from the late 1920s to early 1930s. During that time, Memphis averaged 100 homicides per year and was a hotbed for all kinds of illegal activity. The famous Memphis-born gangster, George "Machine Gun" Kelly was captured there in 1933 by the FBI. Series V-7 Cunninghams were available in a large number of body styles, all priced slightly higher than previous series. On the 132” wheelbase, $7,000 would buy a roadster or 4-passenger touring. $8,000 would get you a 2-passenger coupe, and $8,500 a cabriolet, petit cabriolet, or 4-passenger enclosed drive sedan. On the 142” chassis a 6-/7-passenger touring was priced at $7,000, a special speed roadster/4-passenger touring for $7,750, an enclosed drive limousine for $8,600 and a town sedan for $9,100. By 1928 Cunningham realized that in order to compete with Detroit’s luxury car manufacturers, they would have to invest in expensive stamping and manufacturing machine tools. A couple of years of steadily decreasing demand eliminated that option and they started looking for other products to manufacture. At that time private and commercial aviation was in its infancy and there were still plenty of profits to be made through manufacturing high quality low volume aircraft. Lindbergh had just crossed the Atlantic and the firm decided the time was right to test the waters during 1928. Coincidentally a number of former employees of the Thomas-Morse Aircraft Corp. of Ithaca, New York had recently been put out of work by a merger with Thomas-Morse merger with the Consolidated Aircraft Co. of Buffalo, New York. 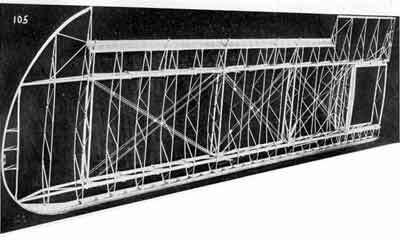 The group from Ithaca came to Cunningham with a proposal to build a fabric-covered six-place metal-framed bi-plane, and in early 1928, the Cunningham-Hall Aircraft Corp. was formed to manufacture it. Francis E. Cunningham was named president, Randolph Hall, vice-president and chief engineer. Hall was well-known in the industry for his high-lift wing designs (Hall high-lift device), which enabled a plane to take off using a significantly shorter runway. Other members of the firm included W.T Thomas, W.R.R. Wymann and Paul Wilson – all former Thomas-Morse employees. While Hall and company provided the expertise, Cunningham provided the materials and the manufacturing facility – an unused portion of his Canal St. factory. Powered with the new 300hp Wright J-6-9 radial engine, the PT-6 (Personal Transport 6-place) was completed in March of 1929, and test pilot Paul Wilson took it to the Donald Woodward Airport in Leroy, New York where it had its maiden voyage on April 3, 1929. The plain was similar to its contemporaries and included a luxurious interior fitted with red synthetic leather panels and custom-built cane and rattan seating for the passengers. The PT-6 received it Approved Type certificate in July of 1929 and the plane was advertised at $16,000. The firm decided to enter the prestigious Guggenheim Safe Airplane Contest and built a two-seat low-wing monoplane with ailerons protruding up to a small upper wing for the November 1929 contest. Test pilot Paul Wilson returned to the Woodward Airport on October 2, 1929 and the Cunningham-Hall X-90 flew for the first time. Unfortunately the plane was disqualified early in the contest and was put on the backburner while a second PT-6 was constructed. Just as the second plane was nearing completion the full effect of the stock market crash became apparent and what little demand there was for personal aircraft vanished completely. The firm slashed the price of the second PT-6 to $13,000 and it was sold before the market bottomed out completely. Although production was halted, design work continued on a new 2-place low-wing monoplane which was dubbed the GA-21 (General Arrangement-21).The new plane debuted in 1934 and featured an all-metal airframe, side-by-side seating and spats covering the wheels. The majority of the plane was now skinned in aluminum although parts of the upper wing surface, emmpennage, ailerons and flaps were still covered in fabric. A plane went through several design changes, first as the GA-21 M (modified) and finally as the GA-36 which debuted in 1936 with new tandem seating and more aerodynamic landing gear. However the economy was such that the plane was never put into production. In 1937, Cunningham-Hall received an order from a Philippine mining company for a PT-6F (for freighter). The PT-6F eliminated the earlier models cushy interior in favor of a larger baggage compartment and included a roof-mounted cargo hatch and a large two-section cargo door. Equipped with a 330hp Wright R-975E-I engine, the plane was built using leftover material and by the time it was finished the customer couldn’t finish paying for it and was put up for sale. The Cunningham-Hall biplane has a significantly higher survival rate than the automobiles of their parent company. Two of the three PT-6 series bi-planes survive today in Alaska. A PT-6 can be seen at the Historical and Transportation Museum at Palmer, near Anchorage, while the PT-6F remains in the hands of a collector. In 1929 Cunningham exhibited a combination service/flower car whose basic design remains to this day. Built using a regular limousine-style body shell, the top was cut off just behind the driver's door. Looking like a swept-side pickup truck, Cunningham placed a permanent cover over the casket compartment and installed a streamlined nickel-plated flower rack on top. Just like modern flower cars, the rear side doors remained active and could be used to load chairs and equipment into the back. 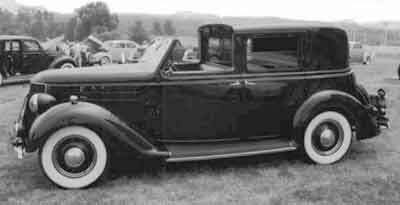 The town car was back for 1930 and Cunningham built a small number of 8-column carved and glass-paneled hearses for the small number of funeral directors who requested them. More style-conscious customers ordered their Cunninghams with more-recent, yet still dated-looking limousine-style bodies with padded leather tops and leaded-glass compartment windows. The Series 1930-1931 V-9 Cunningham remained unchanged from previous series, but the Series V-10 which debuted in late 1931 included a number of evolutionary changes. Most noticeable was its enlarged 471 cu. in. powerplant, less noticeable changes included a free-wheeling synchromesh transmission and a changeover to semi-elliptic rear springs. Considering that one of Cunningham’s main products were ambulances, its remains a mystery as to why safety glass remained an extra-cost option into the early thirties. Production of Cunningham passenger cars ended with the introduction of the series V-10 which was destined to be used almost exclusively for the firm’s professional cars. As did Rolls-Royce, Cunningham sometimes stuck with antiquated systems providing they were dependable. One notable example was their use of the Brown-Lipe dry clutch, first developed during the mid-teens. Its multiple discs required a significant amount of pedal pressure to engage it, although once in that state, it was virtually slip-free. Although the introduction of the hydraulic clutch had made it obsolete by 1925, they continued to use it into 1931. 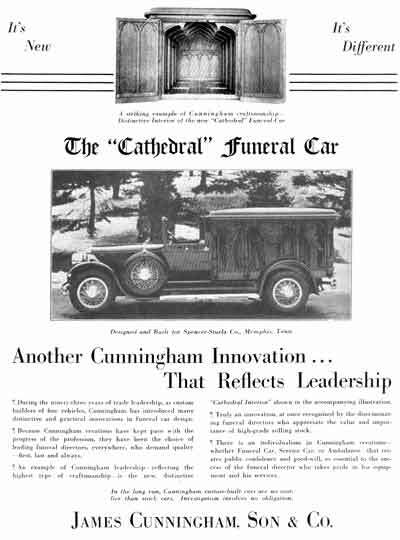 Cunningham started off 1931 with the introduction of the “new” Cathedral funeral car. 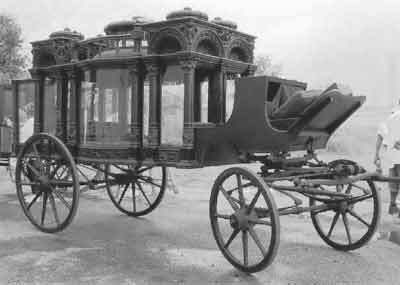 Essentially it was their decades-old 8-column hearse and included either carved-wood or glass compartment panels. Totally carved editions included beautiful walnut and mahogany interiors while glass-panel versions combined exotic woods with heavy damask draperies. The Cathedral was available in either closed or town car editions with a choice of colors and appearance options which included wire wheels and Gordon side-mounted tire covers. Production of Cunningham’s service/flower car and limousine-style coaches continued into 1932. However, 1931 was the last year that they would offer coaches built on their own chassis as it was eliminated due to declining sales of the Cunningham passenger car. From this point on, Cunningham’s funeral coach and ambulance customers were compelled to purchase Cadillac, Lincoln, Packard, and Pierce-Arrow chassis on which to place their new Cunningham bodies, although a handful of new old stock Cunningham Series V-10 chassis remained available into 1933. Despite it's close proximity to Syracuse, New York, only one Franklin Funeral Coach, built on one of the 200 Franklin V-12 chassis, is known to have been built. A circa 1966 picture of the vehicle can be seen to the left although its current whereabouts are unknown. The car is briefly mentioned in Thomas H. Hubbard’s article, “The Ultimate Franklin”, which appeared in the September 1978 “The Classic Car”. Hubbard refers to a taped 1961 interview with Mr & Mrs Homer Marshall by John Tripier, the Franklin Club technical editor at the time. In that interview Tipier asks Mr. Marshall about the 1932 12-cylinder prototype once owned by Marshall's father and casually mentions the "famous 12-cylinder Franklin hearse." 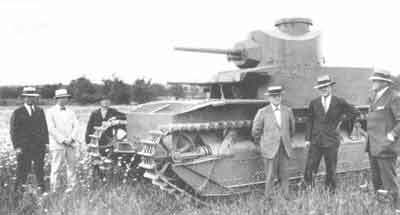 In 1927 the firm produced a Cunningham V-8 powered 9-ton tank prototype for the US Army who was looking for a fast light tank. In March of 1928 the Cunningham tank was tested at the Army’s Aberdeen, Maryland proving grounds. The vehicle had a top speed of 20 mph and was equipped with a 37 mm cannon and a .30 caliber machine gun residing in its revolving turret. Although its tank was not selected for production, the firm continued to compete in military design competitions into the mid-thirties. 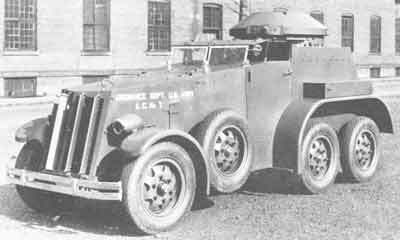 A number of small tanks were produced and in 1930 the firm built a prototype four wheel drive armored car. Designated the T4, the vehicle featured Woodlite projector beams, moveable shutters over the front radiator, heavy-duty steel rims and dual rear axles. Ammo boxes rode on top of the rear fenders and in the rear compartment, an elevated gun turret equipped with a cannon of unknown caliber. Although the driver’s compartment was roofless, protection was offered in the form of extra tall armored doors, an armored hood and cowl and two small bulletproof rectangular windshields. 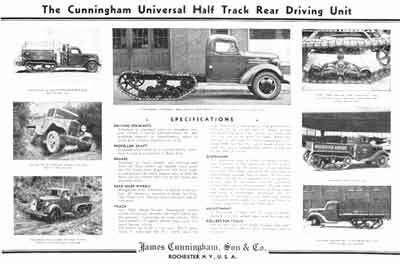 In 1932 Cunningham designed a prototype half-track which was built using a l½-ton Ford chassis equipped with a 50 hp 4-cylinder engine and 4-speed transmission. Designed to provide the military with a prime mover for light artillery that could be driven on fields or unimproved roads, the vehicle featured novel light-weight rubber-block treads that gave it a top speed of 30 mph. The prototype was tested in January 1933 at the Aberdeen proving grounds, and despite being underpowered, was otherwise well-received. Later that year Cunningham introduced a redesigned version of the Ford-powered unit, the Model T1, which was now powered by a 115 hp 353 cu. in. Cadillac V-8 with a four- speed + overdrive transmission, and could reach a top speed of 40 mph. Three versions of the T1 were subsequently introduced, all based on the original 1933 design. Most of the modifications were carried out by the Army’s Rock Island Arsenal in Rock Island, Illinois, and it’s not clear if Cunningham was directly involved. The T1-E1 featured a heavy front bumper and brush guard, a wider seat and storage boxes and fuel tanks over the rear fenders. The doors were eliminated and the rear compartment was now fitted with a tarpaulin top. The rear idler wheel of the rear track system was now supported by a solid rail. The T1-E2 included the addition of an integral tow cable wrapped around the bumper and three pedestal mounts for a Browning .30 caliber machine gun; one to the right of the cowl, and one on each rear fender. The track system was also modified with a simpler road-wheel support assembly and a return to the original nor-rail supported rear idler wheel. The T1-E3 featured a revised track system and a much narrower body. The half-tracks produced by Cunningham are more commonly referred to as the M1, and although they did not see series production, they were essential to the development of the later M2 and M3 half-tracks that saw service in World War II. By that time Cunningham was no longer manufacturing vehicles and the contract for the development of the next-generation M2 half-track was awarded to the White Motor Co. of Cleveland, Ohio. Cunningham’s work on the M1 military half-track led to the production of the Universal Half-Track Rear Driving Unit which featured the firm’s novel light-weight rubber-block treads. Period literature states that it was designed for “standard makes of 1½ and 2 ton trucks” and had a top speed of 25 mph across country and 30 mph over the road. The 4-page flyer included pictures of Cunningham-equipped 1934-1937 Ford trucks with oil field, stake and airport service bodies. Also pictured was a track-equipped stake truck with skid skis replacing its front tires. “Driving Sprockets – attached to standard hubs on standard rear axle (which is moved forward about 36” and attached directly to underframe), made of steel, heat treated, machine-cut teeth. “Propellor Shaft – standard shaft with its universal joints, shortened to suit new position of rear axle. “Brakes – standard on front wheels, and driving axles hubs, all these brakes are applied when using the foot brake lever. Right and left hand brake levers actuate the track brakes only, so that the truck can be steered when the front wheels lose steering ability. “Rear Idler Wheels – Manganese steel, machined on double tread surface, 20” diameter, running on large ball bearings fitted with efficient dust excluders and oil retainers. “Track – new high speed design, detachable rubber blocks interposed between the track rollers and the ground, cushioning all road shocks. This track permits of higher speeds than usual in a track laying vehicle. The tracks are made in two sizes. The 2” pitch track 8” wide and the 2½” pitch track 10” wide. The former track has a total ground contact of 720 sq .in. per pair of tracks, giving the small loading of 7 lbs. per sq. in. empty and 10½ lbs. per sq. in. with full load. When the payload on the pair of tracks appreciably exceeds 3,000 lbs. the 2½” pitch track should be used, this has a total ground contact of 920 sq. in. per pair of tracks. “Suspension – A 5” diameter shaft is bolted by means of suitable brackets to the underside of the underframe, located at the position of the original rear axles. This shaft transfers the rear load to semi-elliptic springs that oscillate. At the ends of these springs are bogies also free to oscillate, at the ends of the bodies are 10” diameter rollers that run on the extremely flexible track that conforms to the inequalities of the ground., and what is exceedingly important, this arrangement of sprocket, rear idler and spring suspended rollers keeps the track at all times in correct alignment with all these units. “Adjustment of the track to take car of wear is accomplished by a very simple take up at the rear end. In the summer of 1933 Cunningham displayed their new Cunningham W-1 professional car chassis at Chicago’s Century of Progress exposition. Powered by a straight-eight Continental, the aerodynamic vehicle included a new v-shaped radiator shell and skirted fenders. 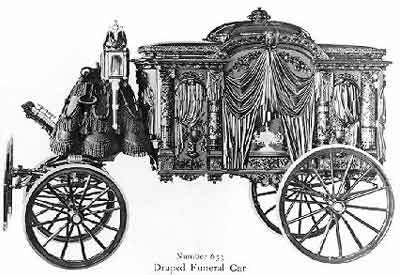 Upon the new, mostly assembled, chassis rode the firm’s latest incarnation of the carved funeral coach which was marketed as the W-Series Cathedral Town Car Hearse. The striking all-silver vehicle had an open chauffeur’s compartment that could be covered by a canvas top during inclement weather. The casket compartment included carved drapery panels which included large expanses of glass through which the casket and floral tributes were easily visible. The World’s Fair car made an appearance at the October 1933 National Funeral Director's Convention in Cunningham’s hometown of Rochester, New York. Painted silver, the firm made the coachwork available for any customer supplied chassis. Built using a limousine-style body and with carved panels confined within the contours of the original body, the W-Series attracted lots of attention, but few orders. Records indicate only a dozen of the Continental-engined Series W-1 Cunninghams were built, only one of which is thought to exist, a combination ambulance with body No. 5617. Although serial numbers indicate the last production Cunningham passenger car was built in 1931, a number of vehicles remained unsold as late as 1933. A handful of Cunningham V-10 customers returned their cars to the factory in 1934 to have them modernized with the new Series W-1 vee’d grill and skirted fenders, but Cunningham historian Yengst doubts the modifications were completed, and believed that the cars were returned to the customers with a letter of apology. Cunningham was not the only firm exhibiting streamlined carved coaches at the 1933 show. The A.J. Miller Co. of Bellefontaine, Ohio introduced a similarly-styled coach on a Cadillac chassis which they christened the “Art-Model” hearse. The firm’s final advertisements offered “economy” coaches built on Packard and Oldsmobile chassis. 1935 Cunningham coaches were largely carryovers from the previous year and were mounted on any chassis the customer desired. Professional car body production continued through 1936. One unusual ambulance was built in the typically British high-roofed style on a Lincoln chassis for a New York and London-based livery service called Scully-Watson. 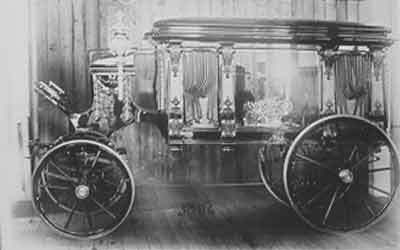 A few Cathedral hearses were built as well, several of which mimicked Eureka's and Miller's Art-carved coaches. In the mid-Thirties the company produced about three dozen brougham and town car bodies for the 1934-1937 Ford V-8 chassis (as did Brewster), the last known example completed in September of 1936. Priced at $2,500, these Cunninghams were considerably less expensive than the gigantic and grand cars of the glory years, but were significantly more expensive than a new V8 Ford 4-door sedan which could be purchased for $650. After a thorough search of the firm’s records during the late 1950s, Cunningham historian and former employee, Winfried G. Yengst, came up with the oft-quoted figure of 5,621 Cunningham motor vehicle chassis built from 1907 through 1936. The figure includes all of the hearses and ambulances (professional cars) the company built during the same period, and if accurate, amounts to an average production of 193 vehicles per year. Current Cunningham enthusiasts believe the number to be much about half that number. Yengst’s own research indicates that the firm’s serial numbers were not necessarily consecutive, and even when they were, large blocks were skipped or are missing altogether. The current accepted estimate is somewhere around 3,000 chassis, or approximately 100 vehicles per year, again including the firm’s professional cars. Approximately 20 Cunningham self-propelled chassis of all varieties are known to exist, giving the marque a survival rate of less than 1%, an extremely low rate for a luxury car but more in keeping with more utilitarian marques of similar vintage. In contrast to the sketchy chassis numbers, Cunningham’s bodies were consecutively numbered starting in the horse drawn era with No. 1. Yengst believed the system started when the firm relocated to Canal St. in 1849 and does not include vehicles built 1839-1849. The numbers run continuously through the period when the firm built both horse drawn and motor-driven vehicles (1907-1915) to the end of the custom building era in 1937. The highest body number known was 33,174 in 1936. 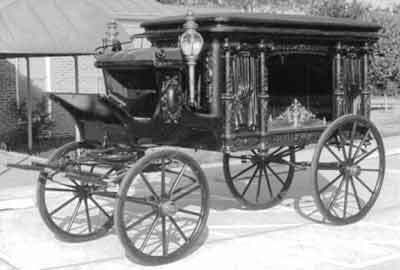 In addition to the estimated 20 bodies that exist on Cunningham chassis, it’s estimated that another 50 Cunningham horse-drawn hearses and carriage remain. The firm’s early records were destroyed in 1948, but records covering the transition between horse-drawn to motor-driven survive and show the consecutive numbering system continued unchanged. Cunningham’s automobile body style numbers were a continuation of numbers dating from just after the Civil War. The numbers start with No.1 and end with No. 770, with the exception of the bodies used by the firm’s electric runabouts, which were given the No. 731. Numbers from 77 to 1035 were all automobile styles. No 77, was a coupe body built for a model T Ford chassis. Other were also built for other manufacturers, such as No. 793 which was built on a White chassis). Yengst described some very early vehicles numbered in the 2000s and 3000s which had been cross indexed to the then current series. With the advent of the eight cylinder chassis the style No. 1033 touring car become style No. 1A and this designation ran to style No. 389A, an ambulance on a 1936 Cadillac chassis. There are lots of gaps between some style numbers while others were divided into subgroups (i.e. 371/2 A, 92 ½ A, etc). There were exceptions to the re-numberings as well. Some early 4-cylinder ear ambulance and hearse body styles were continued into the V-8 cylinder era. One example was a style No. 987 ambulance built in 1922 on a Series V-4 chassis for J. T. Hinton & Son, of Memphis, Tenn.
Chassis numbers should give a good idea of how many Cunningham passenger cars were built, but there’s plenty of abnormalities within them. As previously indicated chassis numbers started with models A, B, C, D, E, and F, with H being the first production car. H-72 was the highest numbered chassis in that series, however, several earlier models had serial numbers higher than that. 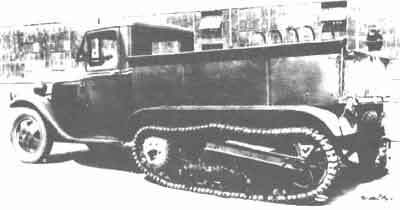 The Series V-1 started with chassis No. V991 and there was at least one 4-cylinder chassis numbered as No. 93. The most recent surviving chassis is No. 5617, a Series W-1 combination ambulance. The firm’s final chassis number was No. 5621. Although the Cunningham Ford’s were built afterwards, they used Ford donor chassis with Ford serial No.’s and did not receive Cunningham chassis numbers. From 1936 until the start military production, Cunningham built whatever it could - safety belts for aircraft, diving helmets, and belt buckles for Boy Scout uniforms - to keep its skeleton crew of employees occupied. By early 1940 the payroll consisted of 6 persons; a secretary/bookkeeper, maintenance man, 3 machinist/model-makers and a night watchman. Surprisingly the firm remained solvent and during 1940 James C. Dryer retired and the firm was reorganized by brothers Augustine and Francis E. Cunningham as a partnership. By that time defense work had started to trickle in and by the fall of 1941 Cunningham had started work on a number of large military contracts. Their first large contract called for gun mounts for .30 and .50 caliber machine guns. By the beginning of 1942 the firm employed 360 and one year later that number had swelled to 800. The majority of the firm’s work was for other Military sub contractors, particularly regional manufacturers of airplanes and aircraft engines. Products produced by the firm included aircraft canopies, gunners’ turrets, servo-controlled gear boxes for wing flaps, and aileron assemblies for bombers. The firm’s Cunningham-Hall aero division was also active producing block and cylinder assemblies for larger aero manufacturers. The combined efforts of Cunningham/Cunningham-Hall earned them the coveted Army-Navy “E” award for excellence in manufacturing. The “E” award, or the Army-Navy Award for Excellence in War Production, was normally awarded when a firm completed a large order for the US War effort or when they filled an order in a short period of time. At the ceremony, the employees would be given an enameled pin mounted on a card certifying their contribution to the war effort with a message from the president. The employer would be presented with an “E’ flag and banner and outstanding employees would be presented with a special certificate. With the war over, and all contracts fulfilled, the interested parties dissolved Cunningham-Hall in 1948. Although they could have easily retired on their wartime profits, the Cunningham brothers elected to stay in business and began building a line of Cunningham-brand sickle-bar mowers, tractors, snow blowers and rotary tillers. Although fractional horse-power engines were in short supply immediately after the war, by 1948 they began to experience greatly reduced sales due to increased competition and searched for a new product. In what must have been a surprise to all involved, the partners embarked on the manufacture of prefabricated and plumbed lavatories for travel trailers and mobile homes. The firm’s mini bathrooms enjoyed a moderate success into the early 1950s, but soon began to suffer from their constant foe, increased competition. Their next product line, which would prove to be the firm’s financial salvation, was initiated by a haphazard series of events. Andrew W. Vincent, an electrical engineer with Rochester’s Stromberg-Carlson, had invented his own telephone system, which featured a novel electro-mechanical switch, commonly known as a crossbar switch. The crossbar switch completed the connection between two telephone lines automatically, a task which up until that time had been completed manually by a single telephone operator. Although others had invented similar devices, none of the competition’s offerings would prove as versatile or reliable as Vincent’s crossbar, and it would eventually dominate the telephone industry. However, Vincent was unaware of the potential of his invention when he approached the Cunningham brothers in 1950. He was simply looking for someone to manufacture his improved dial telephone system. Francis E. Cunningham was intrigued with the idea of manufacturing telephone equipment, and in 1951 purchased the rights to the inventor’s system and hired Vincent as a consultant. Development of the system was well under way by the start of 1952 and Andrew Vincent and Peter F. Cunningham, Francis’ son, began looking for customers. At that time, there were a large number of competing systems and despite its advantages the Cunningham-Vincent phone system was not well-received. However, a number of engineers they spoke with like their novel crossbar switch and encouraged them to develop it further. Vincent and Cunningham took their advice and development of the crossbar witch became priority one. Vincent was now brought in as an employee with the title, Chief Engineer of the Crossbar Switch Department. The switch was first offered for sale in 1953, and although it brought in a few orders, it soon became apparent that the design needed further refinement if it was to be successful. By 1954, the firm was in rough shape and in March of that year they sold the 5 buildings that made up their Canal St factory. They transferred operations to a building not included in the sale that had been built in 1920 to manufacture Cunningham’s new V-8. For the next 7 years Cunningham’s address would be 33 Litchfield St. The sale of the Canal St. properties allowed the firm to stay in business, and in the interim Andrew Vincent worked day and night redesigning the switch and by the end of 1956 a totally new crossbar switch was put on the market. The new switch was universally applauded and Cunningham put it into full-scale production. In addition to the switches, a large part of Cunningham’s sales were for the custom-built cases and equipment racks needed to house them. The volume of orders increased throughout 1957 and as large firms became aware of the new device, orders increased exponentially to the point where a new facility was constructed in Honeoye Falls, New York during 1961 to manufacture it on a massive scale. Cunningham crossbars were used by telecommunications firms, broadcasters, automatic machine tool manufacturers, and in aircraft and aerospace control systems. Large numbers of crossbar systems were delivered to Cape Kennedy and to NASA flight control centers in Huntsville, Alabama, and Houston, Texas. Ironically, the crossbar switch was used in many early computers systems, the very devices that would make it obsolete. Augustine and Frances Cunningham lived just long enough to see the crossbar become a success. Augustine Cunningham passed away in 1957, and Francis in 1958. Francis’s son, Peter F. Cunningham, born on July 31, 1917, became the fourth president of the firm. Although Peter F. Cunningham had planned on a career in medicine, he changed course, and after obtaining his bachelors degree from Harvard University in 1939, he went to work for the Buffalo Forge Co., of Buffalo, New York, followed by a position with the Simonds Saw & Steel Co. of Lockport, New York. War erupted soon afterwards and the 24-year old Cunningham enlisted in the US Navy. After eight months he received a medical discharge and went to work for Pan American Airlines. He was assigned to manage their air station at Leopoldville, in the Belgian Congo. In 1944 he was removed to Brussels, Belgium where he was put in charge of the firm’s operations at the Melsbroek Airport. After the war Cunningham resigned from Pan-American and returned to his family’s Canal St. factory where he oversaw production of the firm’s lawn equipment and portable lavatories. On October 9, 1968, Peter F. Cunningham sold a controlling interest in the still prosperous firm to the Gleason Works, a Rochester, New York-based manufacturer of machine tools. Gleason Works was a major supplier of gear grinding machines to the world’s automakers, and continues to manufacture machine tools for the auto industry even today. Under Gleason Works the firm was renamed the Cunningham Corporation. By 1977 the emergence of the transistor had rendered the crossbar obsolete and Gleason abandoned all Cunningham operations. The firm’s 10 Carriage St. factory in Honeoye Falls, New York is now a General Motors fuel cell and automotive parts research center laboratory. 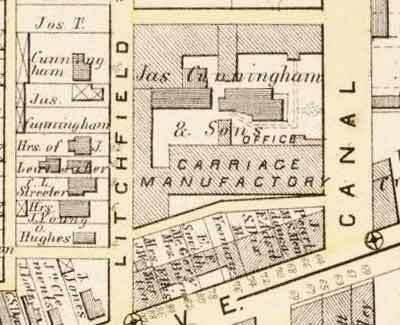 The firm’s massive Litchfield and Canal Sts. factory was sold in 1959, and surprisingly most of it remains standing today. Today it is home to Bags Unlimited, a Rochester-based manufacturer of archival storage materials for museums and hobbyists. At the end of the war, Cunningham’s donated their extensive archives to the Rochester Museum, 657 East Ave., with the hope that it would be put to good use. The material sat untouched for the next 12 years until Peter F. Cunningham requested that it be returned to him. After the death of his father, he entrusted Winfried G. Yengst, a former Cunningham employee, with the job of going through the firm’s archives and distributing them to the nation’s leading automobile museums and archives. RECORD OF THE DISPOSAL OF VARIOUS ITEMS FROM JAS. CUNNINGHAM, SON & CO.
350 Pictures (Horse Drawn and Automotive). 6 Parts Books and Lists of Parts. 1 Folder of Tanks and Armor. 1 Note Book and File of Mr. David Fergusson. 1 Folder, 28 Sheets of Advertising Pictures 1916. 1 Hand Book for the Caquot-Cunningham Windlass. Various Engineering Bulletins. Advertising Matter etc. 1 Folder of Army and Navy Ambulances (World War I). 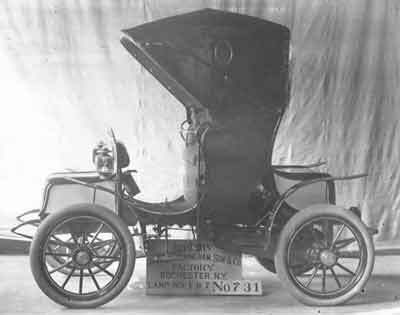 1 Photo of Cunningham 1908 Electric. 3 Photos of Cunningham Town Car Bodies on Ford 1937 Chassis. 4 Photos of Cunningham Factory. 1 Note Book (G. Carson Baker). TO AUTOMOBILE REFERENCE COLLECTION OF THE FREE LIBRARY OF PHILADELPHIA. LOGAN SQUARE, PHILADELPHIA PA. 19103. PHONE (215) MU6-5404. MISS MARY M. CATTIE, LIBRARIAN-in-CHARGE. 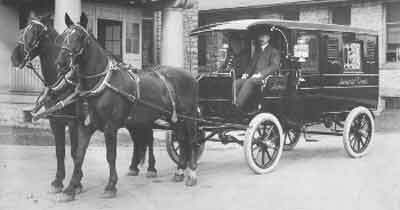 265 Pictures (Horse Drawn and Automotive). 2 Parts and Instruction Books. 6 Cartons of Engineering Tracings. 1 Catalog of LeMoine of Paris 1885. 1 Photo of Cunningham Electric 1908. 3 Photos of Cunningham Town Car Body on Ford 1937 Chassis. 25 Pictures of Tanks, Armored Cars and Half Tracks. 2 Reels of Motion Picture Film of Tracked Vehicle Tests. 10 Cartons of Glass Negatives. 6 Cartons of Large Rolled Tracings and Blue Prints. 3 Photos of Cunningham Factory. 1 Style Book of Carriages and Hearses. (On Loan). TO BRIGGS CUNNINGHAM AUTOMOTIVE MUSEUM, 250 BAKER ST. COSTA MESTA CAL. 92627. MR. JOHN BURGESS SR. DIRECTOR MANAGER. Phone (714) 546-7660. Montage of DePalma Speedster Photos and 3 AAA Certificates. TO HARRAHS AUTOMOBILE COLLECTION, Box 10, RENO NEV. 89504. PHONE (702) 322-69l1. Mr. Ralph Dunwoodie, MANAGER. TO THE VETERAN CAR MUSEUM 2030 South Cherokee St., Denver Col. 80223. MR. ARTHUR G. RIPPEY, OWNER. PHONE (303)733-724l. 1 Instruction and Parts Book. 109 Pictures of Horse Drawn Equipment. TO WESTERN RESERVE HISTORICAL SOCIETY; THE FREDERICK C. CRAWFORD MUSEUM. 10825 EAST BOULEVARD, CLEVELAND O. 44106 PHONE (216) 791-4450. MR. KENNETH B. GOODING, CURATOR. TO ELLENVILLE MOTOR MUSEUM, 46 CANAL ST., ELLENVILLE N.Y. 12428 Mr. Harry Resnick Owner. Phone (914) 647-4710. 16 Photos of Automotive Vehicles. 60 Photos of Horse Drawn Equipment. 1 Parts and Instruction Book. TO CAR AND CARRIAGE CARAVAN, P.O. Box 389, LURAY VA. 22835. Phone (703)743-6552. Mr. H. T. N. Graves Pres. 75 Pictures of Horse Drawn Equipment. 29 Pictures of Automotive Vehicles. TO LONG ISLAND AUTOMOTIVE MUSEUM, ROUTE 27, SOUTH HAMPTON N.Y. 11968. MR. HENRY AUSTIN CLARK Jr. PHONE (516) 283-1880. 10 Pictures of Automotive Vehicles. 60 Pictures of Horse Drawn Equipment. TO SWIGART MUSEUM, MUSEUM PARK BOX 214, HUNTINGDON PA. 16652. PHONE (814) 643-3000. MR. WILLIAM E. SWIGART JR.
1 SAE Proceedings, 1927 Part 1. TO NEW YORK HISTORICAL ASSOCIATION, COOPERSTOWN N. Y. 13326. Mr M.V. THOMAS Jr.
75 Pictures of Horse Drawn Vehicles. TO ROCHESTER MUSEUM & SCIENCE CENTER, 657 East Ave. Rochester N. Y. Phone 271-4320. MISS LYNN POIRIER, ASSISTANT CURATOR. 31 Pictures of Automotive and Horse Drawn Vehicles. 1 Framed Picture of Test of First V-8 on Hill. 1 Large Unframed Picture of Canal St. Bldgs. 1 Papers of Dissolution of Kerr-Cunningham. 1 List of Employees 1907. TO SMITHSONIAN INSTITUTION, WASHNGTON D.C. 20560. Phone (202) 628·4422. DIVISION OF TRANSPORTATION. MR. DON H. BERKEBILE Director. 53 Pictures of Horse Drawn Equipment, Automobiles, Tanks, Half-Tracks and Armor. 1 Listing of Cunningham Projects. 2 Rolls of Motion Picture Film of Tracked Vehicle Tests. 1 CUNNINGHAM 1928 4 PASSENGER TOURING CAR. The 1928 Cunningham touring car that was donated by Peter F. Cunningham to the Smithsonian Institution was the personal car of his uncle Francis E. Cunningham. Peter F. Cunningham passed away on Jun 6, 2003. 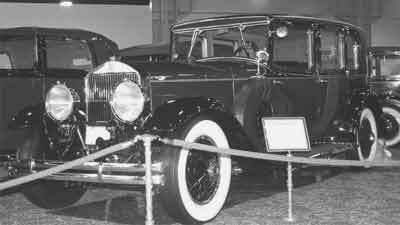 In 1984 the Rochester Museum & Science Center acquired a restored 1936 Cunningham Ford Town Car that was formerly owned by Rochester socialite Charlotte Whitney Allen. An un-restored 1928 Series V-7 Cunningham 7-passenger Berline can be found at the Northeast Classic Car Museum in Norwich, New York. The Nethercutt Collection in Sylmar, California has 2 Cunninghams on display, a 1925 Series V-6 Sports Touring and a 1931 Series V-9 Limousine. The Auburn-Cord-Duesenberg Museum in Auburn, Indiana has a 1926 Series V-6 Touring. The 1928 Series V-7 Touring in the collection of the Smithsonian Institution may or may not be on display, so call ahead if you’re planning on a visit.